Lord of Light, shine upon these words the very truth of your being, that we may read and be brought into deeper relationship with you. Amen. Isaiah 50:4-9a. A prophecy of the obedient servant, beaten and mocked, but vindicated by God. Psalm 31:9-18. The cry of God’s servant, persecuted and beaten. Philippians 2:5-11. Jesus’ humility and obedience in his incarnate, crucified life, and God’s exaltation of Christ. Luke 22:14-23:56. Jesus’ journey to death, from the last supper, to his burial. The Liturgy of the Passion is, quite simply, a meditation on the suffering of Jesus. But, in the Psalm reading, we are also invited to reflect on God’s solidarity with all who suffer, in the Epistle, we are called to view Christ’s passion as an example for us to follow. 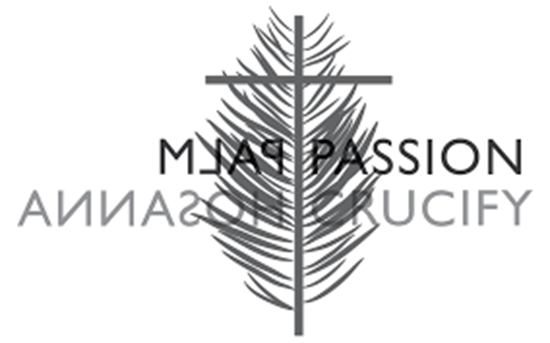 In addition, two particular narratives stand out in the Lukan account of Christ’s passion. Firstly, Luke places the dispute over who is the greatest here, at the Last Supper, which, when placed alongside the Philippians reading, drives home the servant nature of Jesus’ death, and the call for us to embrace the same self-giving life. Secondly, only Luke includes the account of the penitent thief on the cross who asks Jesus to remember him. The response of Christ to this man, in the midst of his own suffering and persecution, demonstrates very dramatically, the extent to which the loving, serving grace of Christ reaches, and the extent to which we are called to serve and love others in Christ’s name. In the light of this, the Liturgy of the Passion, this year, invites us into a deep and transforming journey into Christ’s suffering, Christ’s presence in our suffering, and Christ’s call for us to share his suffering. It’s not just about the passion of the Christ – it’s about the passion of the followers of the Christ as well! May our meditation on the suffering of Jesus lead us into lives that share in the pain of, and bring healing to, places of suffering in our world.